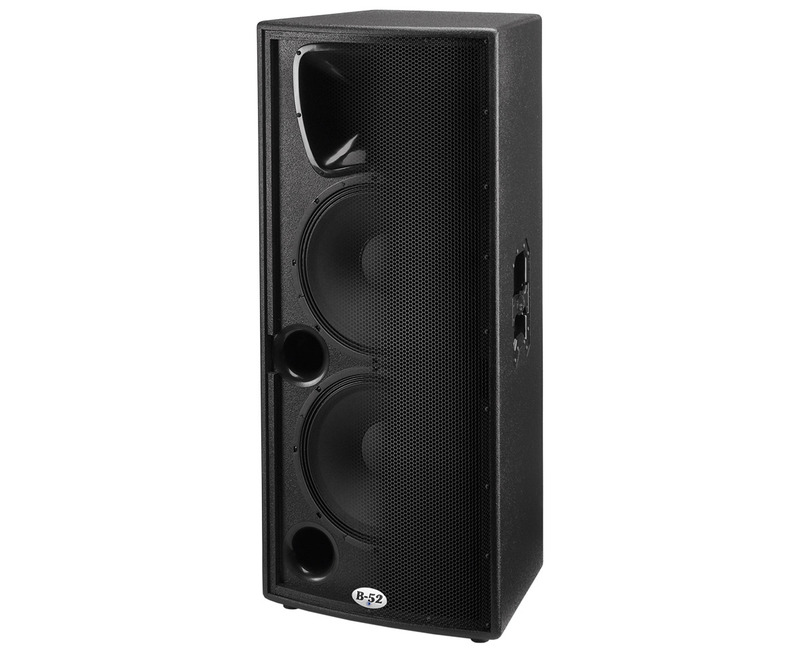 The ACT-Series full-range systems are capable of producing rich, clear, sound at extreme SPLs. The ACT amplifiers employ sophisticated circuitry including four stages of equalization, a built-in compressor/limiter and short circuit/over-current protection. The ACT-Series has an extra high current output stage, which sets it apart from the competition, allowing for uninterrupted extended play. The B-52 ACT-1515(X) is a high-output dual 15” two-way active system capable of producing rich, clear, full-range sound at even extreme SPLs. 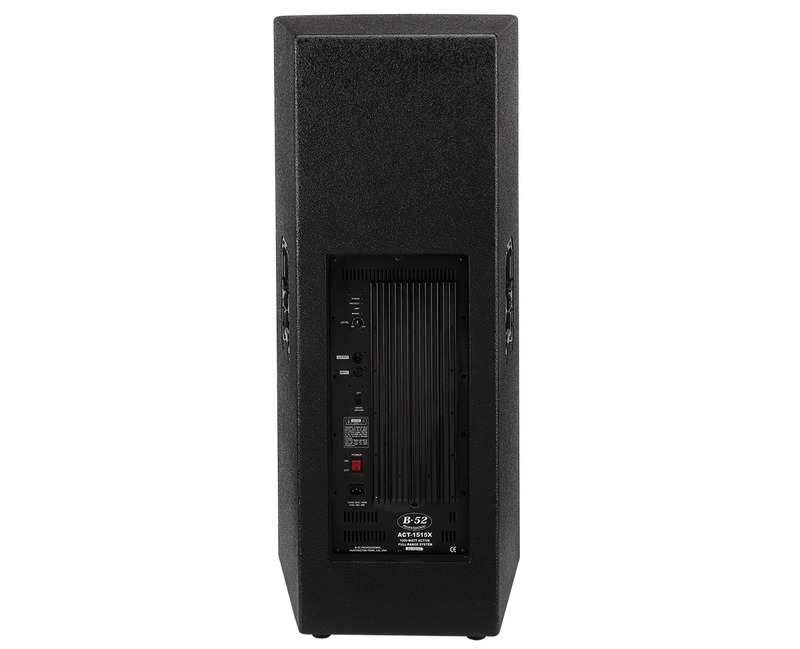 The ACT-1515(X) is the perfect solution for permanent installations or mobile entertainers. Available in your choice of roadworthy black paint finish or black carpet finish. Carpeted models feature a tilt-back handle and 3” casters. The highly sophisticated compression circuitry in the ACT-15(X) & ACT-1515(X) allows for impressive SPLs while minimizing the risk of damage to either the amplifier or loudspeakers. The four-stage equalization network built into the amplifier acts as the perfect complement to the system’s loudspeaker components.